In blender or food processor, place all ingredients. Cover; blend on high speed 30 to 60 seconds or until smooth. Tip: Frozen whole strawberries, slightly thawed, can be substituted for the fresh. 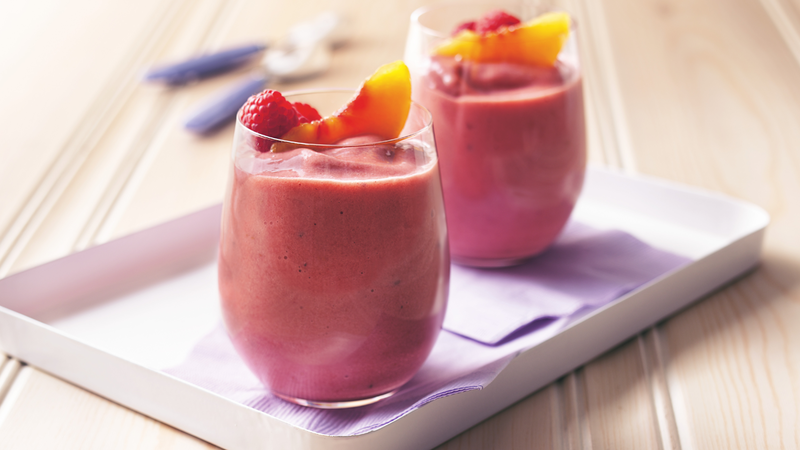 Tip: Serve this energizing fruit shake as a quick breakfast or as an after-school snack.